How we have yearned for Pikmin 3 to appear and now it seems our wishes have come true. It had been rumoured that Pikmin 3 would be making its way to the Wii U but now we seem to have a quote from Miyamoto which almost guarantees that the game will be coming sometime in the future. “Well, Pikmin was a Wii game we were working on. 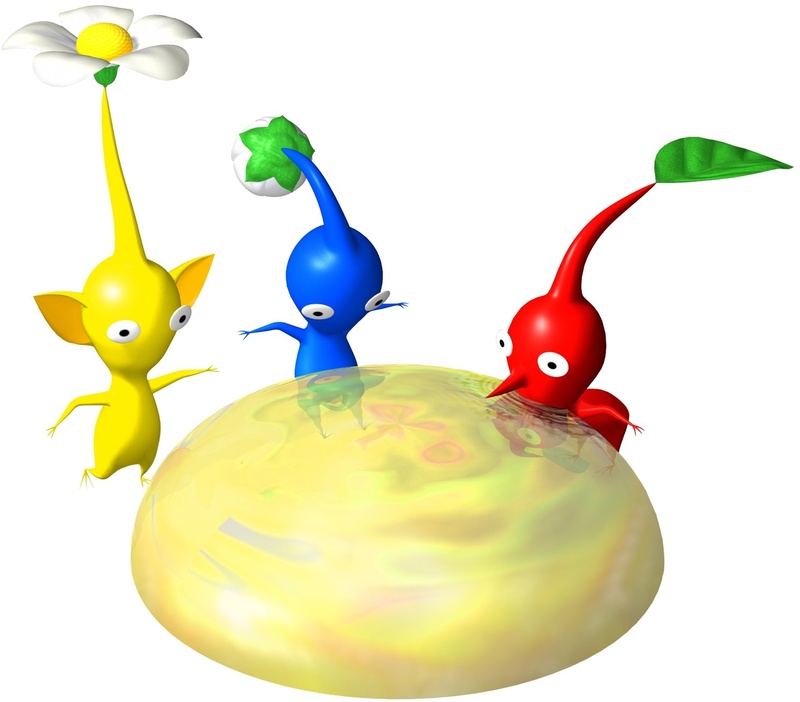 However, as we’ve been working on Wii U hardware and I’ve been looking at those high-definition graphics and that beautiful controller, I’ve been getting the feeling I wanted to see Pikmin there instead,” 1UP quoted Miyamoto as saying. If this isn’t a hint of Pikmin 3 coming to the Wii U then I don’t know what is. Nintendo was pretty shy about talking first party games for the Wii U, the focus was very much on what third parties were doing with it. I still expect that Pikmin 3 will make a debut on the Wii U but the question is when. We can deliver all the latest Wii U news straight to your inbox every morning. Want in? IBM EDram confirmed and ibm multicore cpu @ 45nm confirmed right i did say that wii 2 would use IBM EDram and i also said that next gen broadway cpus exist @ 45nm process at ibm…. ARMONK, N.Y., June 7, 2011 /PRNewswire/ — IBM (NYSE: IBM) today announced that it will provide the microprocessors that will serve as the heart of the new Wii U™ system from Nintendo. Unveiled today at the E3 trade show, Nintendo plans for its new console to hit store shelves in 2012. The all-new, Power-based microprocessor will pack some of IBM’s most advanced technology into an energy-saving silicon package that will power Nintendo’s brand new entertainment experience for consumers worldwide. IBM’s unique embedded DRAM, for example, is capable of feeding the multi-core processor large chunks of data to make for a smooth entertainment experience. IBM plans to produce millions of chips for Nintendo featuring IBM Silicon on Insulator (SOI) technology at 45 nanometers (45 billionths of a meter). The custom-designed chips will be made at IBM’s state-of-the-art 300mm semiconductor development and manufacturing facility in East Fishkill, N.Y. The relationship between IBM and Nintendo dates to May 1999, when IBM was selected to design and manufacture the central microprocessor for the Nintendo GameCube™ system. Since 2006, IBM has shipped more than 90 million chips for Nintendo Wii systems. “IBM has been a terrific partner for many years. We truly value IBM’s commitment to support Nintendo in delivering an entirely new kind of gaming and entertainment experience for consumers around the world,” said Genyo Takeda, Senior Managing Director, Integrated Research and Development, at Nintendo Co., Ltd. Built on the open, scalable Power Architecture base, IBM custom processors exploit the performance and power advantages of proven silicon-on-insulator (SOI) technology. The inherent advantages of the technology make it a superior choice for performance-driven applications that demand exceptional, power-efficient processing capability – from entertainment consoles to supercomputers. Subscribe to our feed or email newsletter for daily Wii U news!